3 Tread Extra Heavy Duty Step with Expamet Treads Welded heavy gauge steel box section and bar. 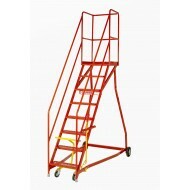 ..
3 Tread Extra Heavy Duty Step with Rubber Treads Welded heavy gauge steel box section and bar. ..
4 Tread Extra Heavy Duty Step with Expamet Treads Welded heavy gauge steel box section and bar. ..
4 Tread Extra Heavy Duty Step with Rubber Treads Welded heavy gauge steel box section and bar. ..
5 Tread Extra Heavy Duty Step with Expamet Treads Welded heavy gauge steel box section and bar. ..
5 Tread Extra Heavy Duty Step with Rubber Treads Welded heavy gauge steel box section and bar. ..
6 Tread Extra Heavy Duty Step with Expamet Treads Welded heavy gauge steel box section and bar. ..
6 Tread Extra Heavy Duty Step with Rubber Treads Welded heavy gauge steel box section and bar. ..
7 Tread Extra Heavy Duty Step with Expamet Treads Welded heavy gauge steel box section and bar. ..
7 Tread Extra Heavy Duty Step with Rubber Treads Welded heavy gauge steel box section and bar. ..
8 Tread Extra Heavy Duty Step with Expamet Treads Welded heavy gauge steel box section and bar. ..
8 Tread Extra Heavy Duty Step with Rubber Treads Welded heavy gauge steel box section and bar. ..
9 Tread Extra Heavy Duty Step with Expamet Treads Welded heavy gauge steel box section and bar. ..
9 Tread Extra Heavy Duty Step with Rubber Treads Welded heavy gauge steel box section and bar. ..
10 Tread Extra Heavy Duty Step with Expamet Treads Welded heavy gauge steel box section and bar. ..